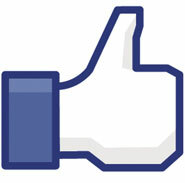 Facebook is facing legal action over its use of the “like” button. In a suit filed in the Virginia Federal Court in the US, Rembrandt Social Media, a patent-holding company acting on behalf of a dead Dutch programmer, Joannes Jozef Everardus van Der Meer, has alleged that Facebook’s success was based, in part, on using two of Van Der Meer’s patents without permission. Rembrandt now owns patents for technologies van Der Meer used to build a fledgling social network called Surfbook before his death in 2004. Van Der Meer was granted the patents in 1998, five years before Facebook first appeared. Facebook declined to comment. “We believe Rembrandt’s patents represent an important foundation of social media, and we expect a judge and jury to reach the same conclusion based on the evidence,” said lawyer Tom Melsheimer from legal firm Fish and Richardson, which represents the patent holder. Surfbook was a social diary that let people share information with friends and family and approve some data using a “like” button.